Listen Closely! Can you hear the whisper of life calling you to the Creek? 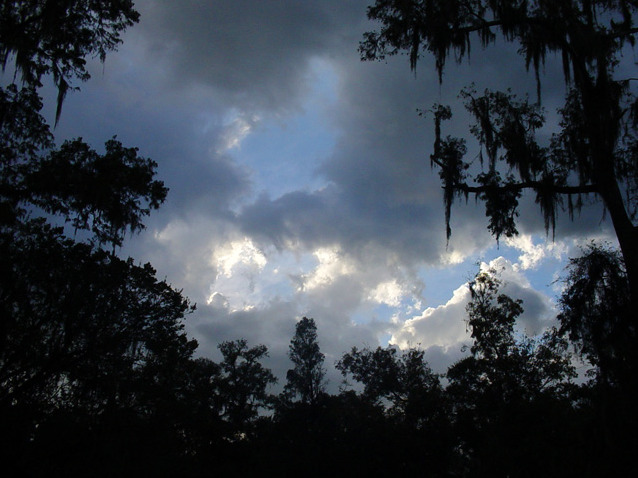 We are located 1 mile North of LaBelle, a quaint, historic river town. 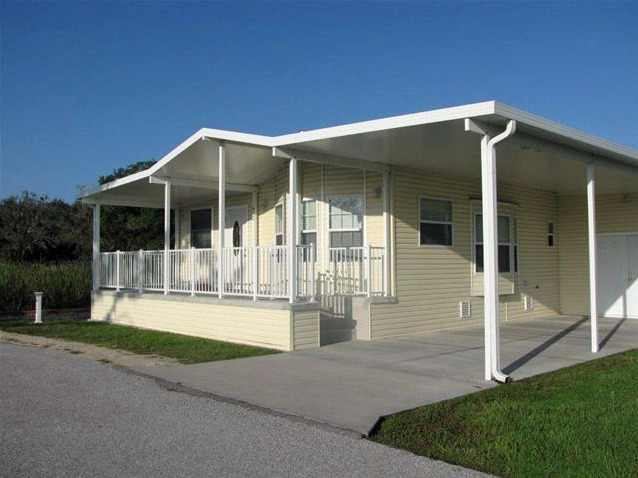 Centrally located to South Floridas finest beaches, shopping, fishing, golfing, etc. 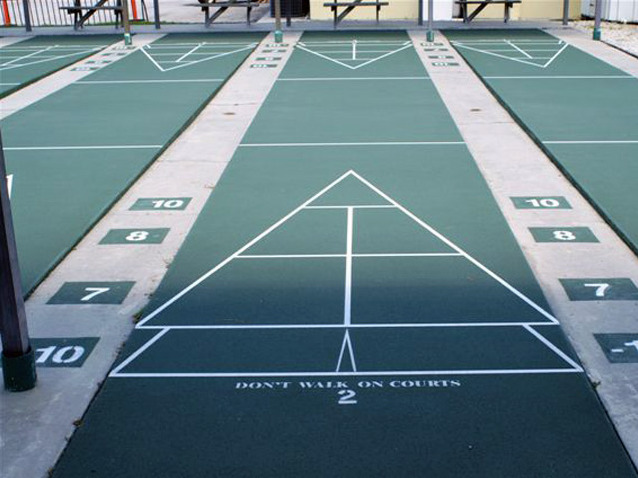 Enjoy a full schedule of exciting activities. 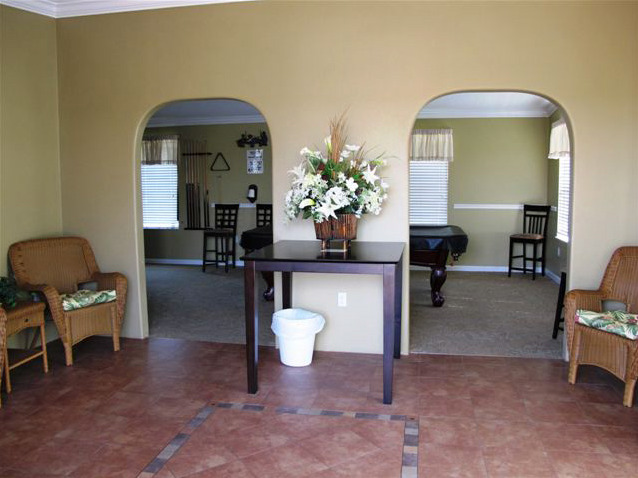 55+, All buildings have been renovated. 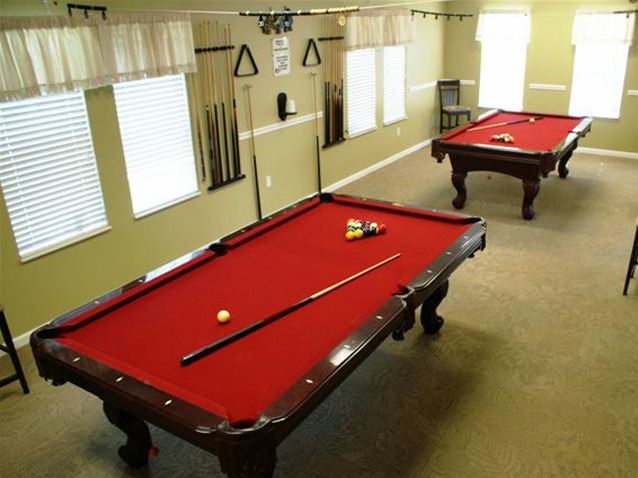 New clubhouse, free internet access, billiards, exercise and card rooms. 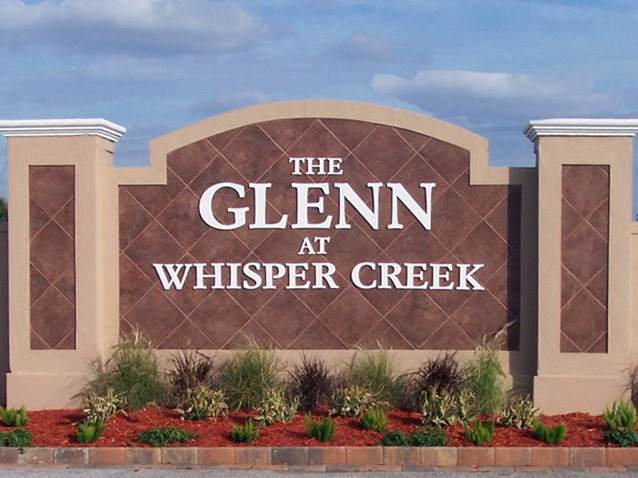 Super Sites available in The Glenn at Whisper Creek. Big rigs and pets welcome. Family owned/operated. 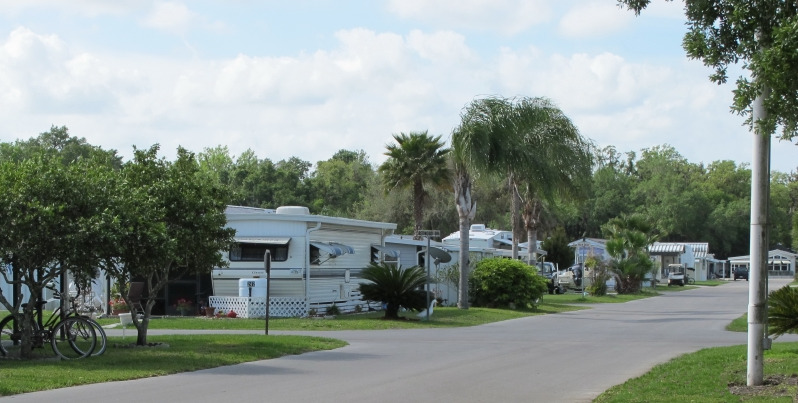 Welcome to South Central Florida's ultimate 55+ RV resort. Celebrating 25 Seasons. 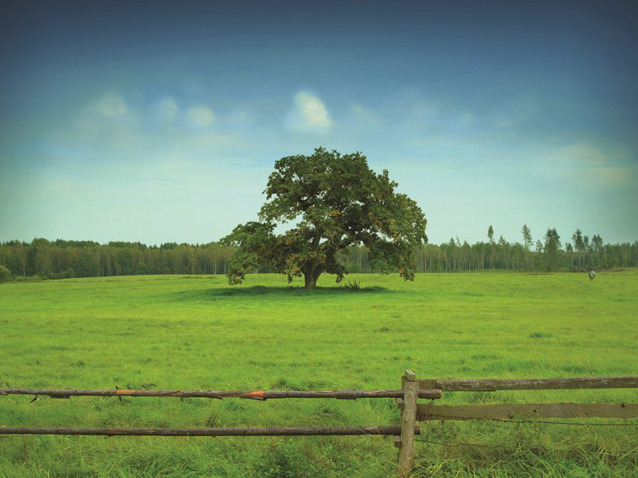 Experience the serene beauty of Whisper Creek. 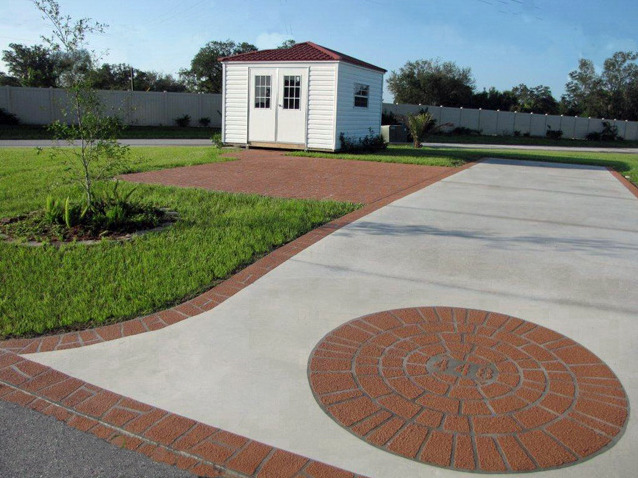 We are located just one mile north of the quaint historic town of LaBelle and the Caloosahatchee River. 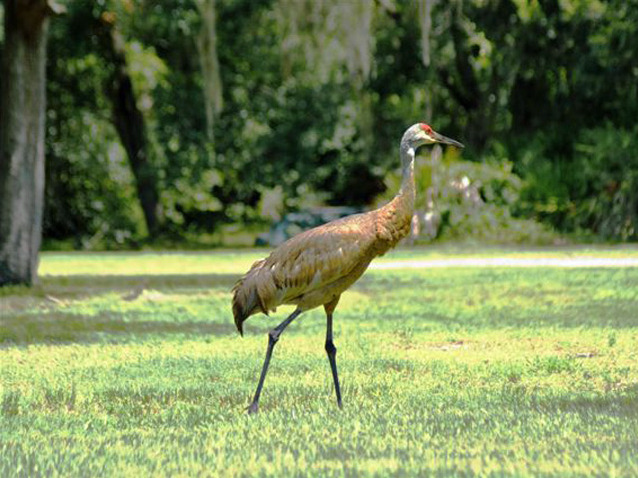 Just a short drive away is Fort Myers, known for its white sandy beaches, museums, farmer's markets and natural wildlife habitats, providing you all the excitement of a major metropolitan area. 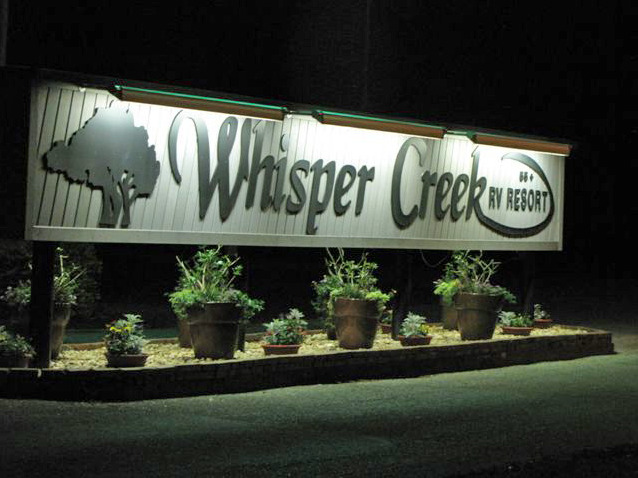 Whisper Creek warmly awaits as your winter escape or a perfect location for that week-end get-away. 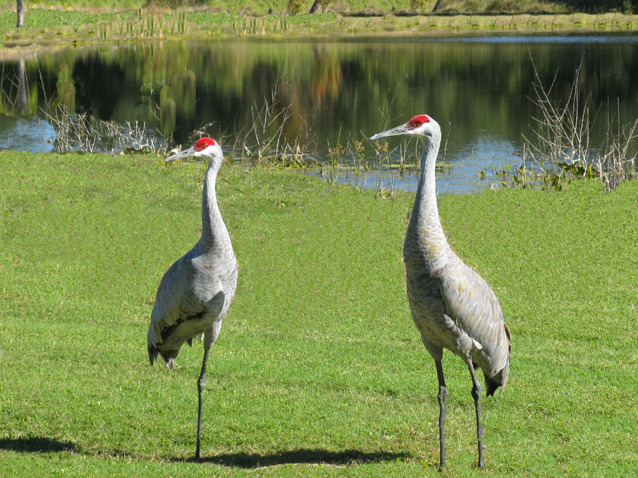 Whisper Creek has been voted one of the Top Snowbird Parks in the USA by Good Sam for the years 2013 & 2014. 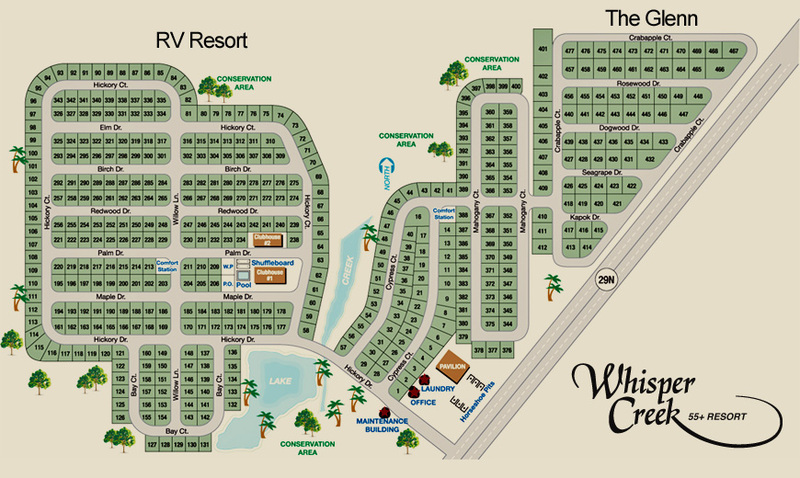 Whisper Creek is a family owned and operated resort community. 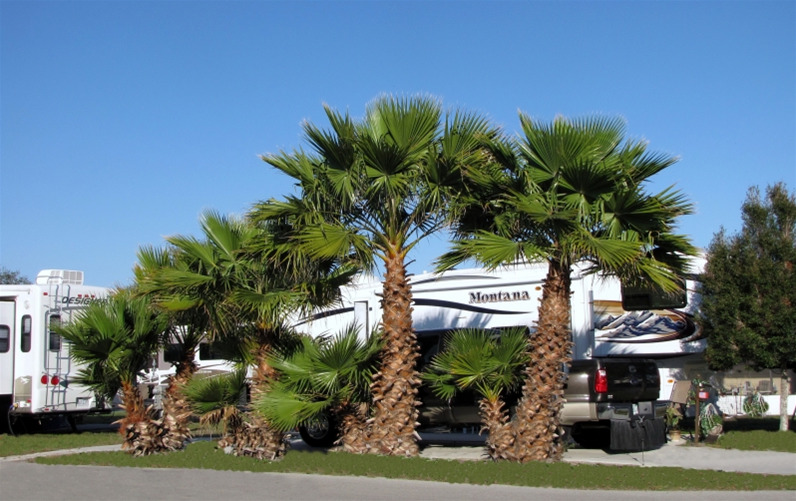 This beautiful pet friendly park has been completely renovated and remodeled, ensuring you the ultimate RV experience. 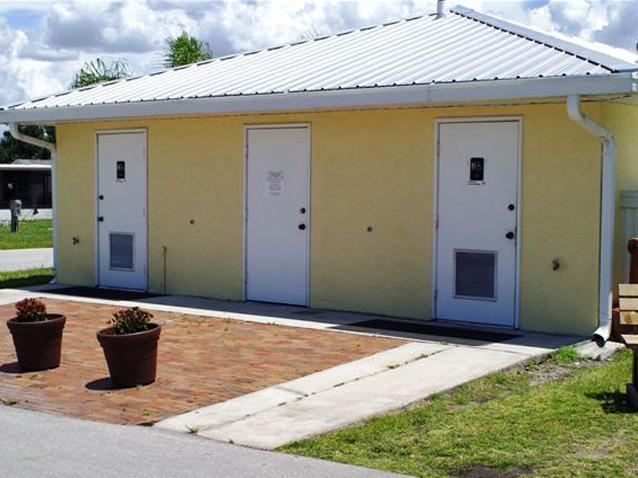 Our large sites, extra wide paved streets with storm drains, large laundry facility, and free Wi-Fi are just a few of the benefits you will receive. 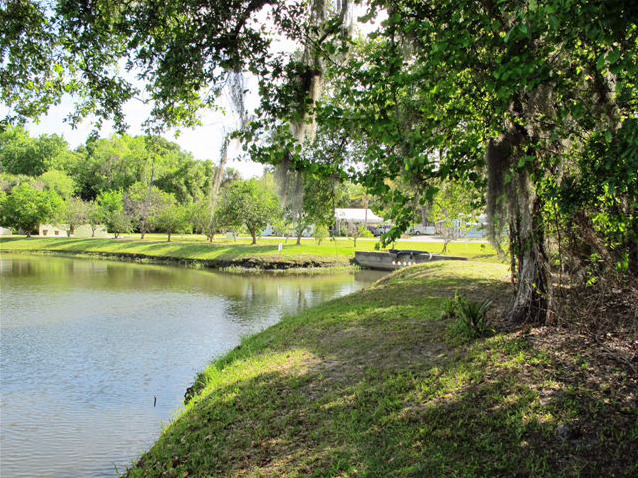 Nestled by Florida's natural landscaping and an on-site pond, you will spend your days in relaxing splendor. We would like to welcome you to be a part of our extended family. We would love to help you plan your stay. Our Park has 393 rental sites 40' x 55' in the original section and there are 68 Rental Super Sites 50' x 60' in our new section THE GLENN. 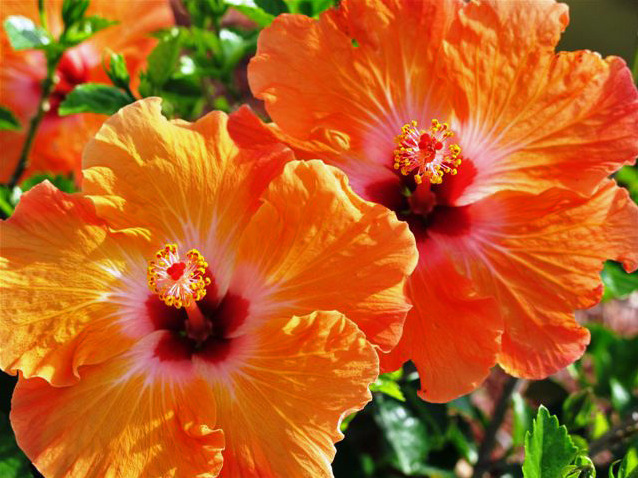 While at the resort, enjoy your days in either of our two air conditioned club houses. 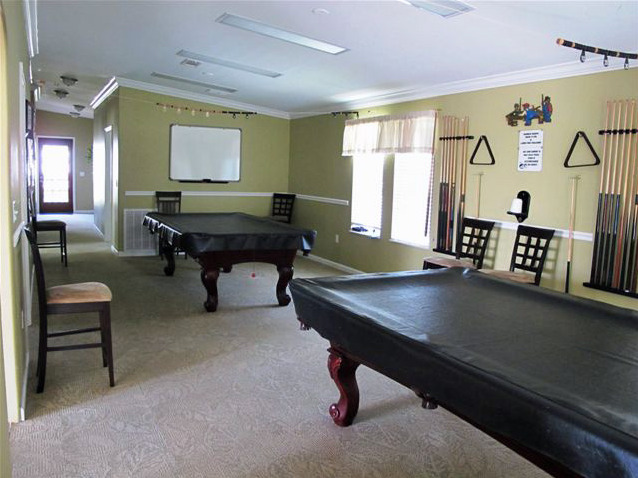 Whether it is joining in a game of bingo, working out in our exercise room, or dancing the night away in our 5,000-sq ft. clubhouse, you will find an activity custom tailored for you! 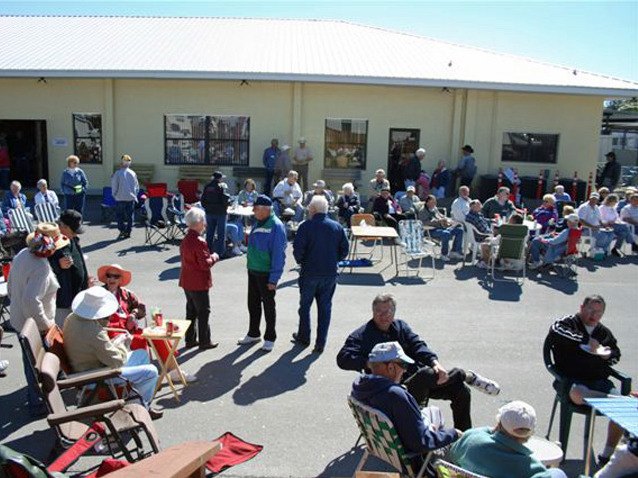 Oak Grove RV Resort is LaBelle’s newest 55+ RV resort. 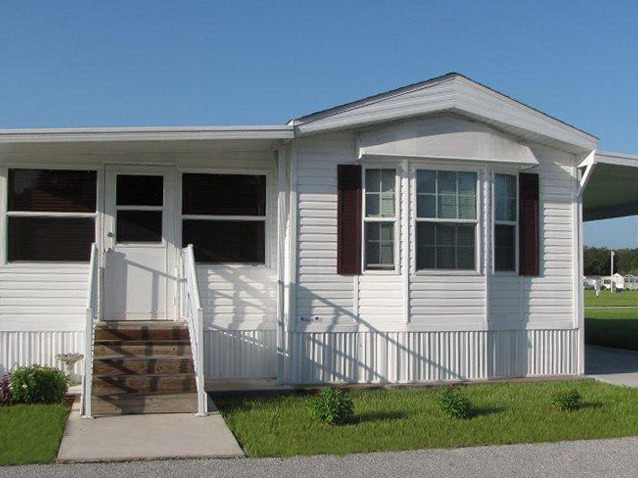 Conveniently located in the heart of LaBelle, the resort is within walking distance or a short drive to shopping, local festivals, restaurants, urgent care, beauty and barber shops, organic market and retail shops. 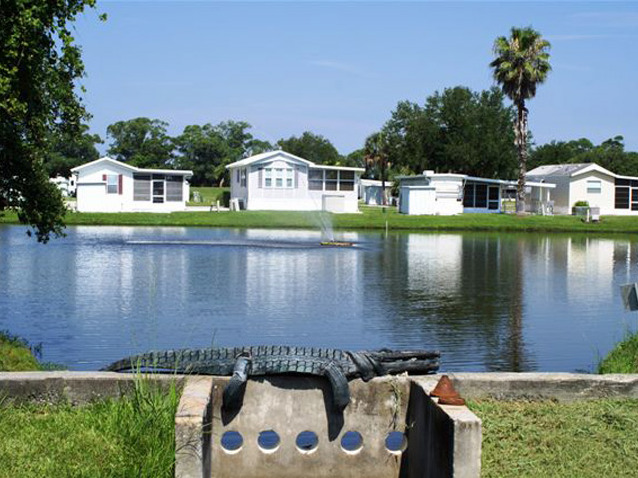 We offer deluxe landscaped and lake-front sites, pool and pets are welcome. 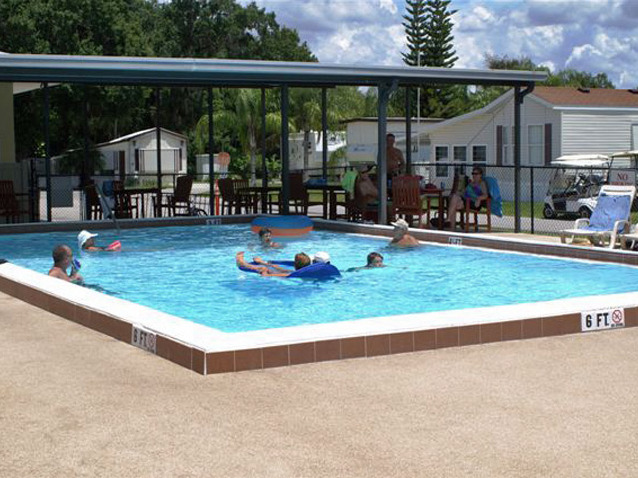 Golden Palms Luxury Motorcoach Resort is located close to everything that makes wintering in Florida enjoyable! 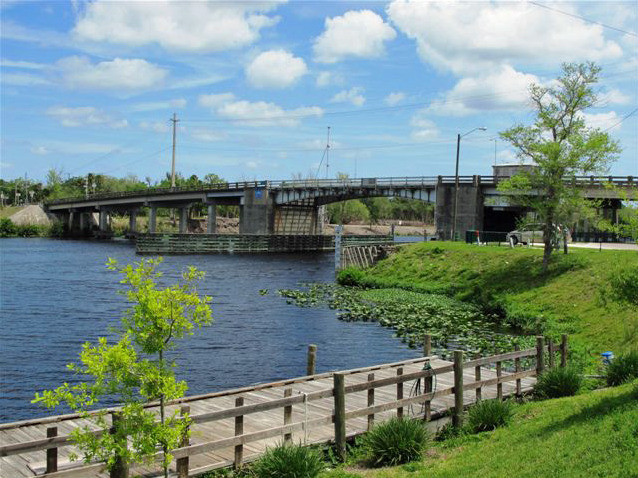 You’ll find abundant attractions including shopping, boating, golf, beaches, sports parks and more are just a short drive away. 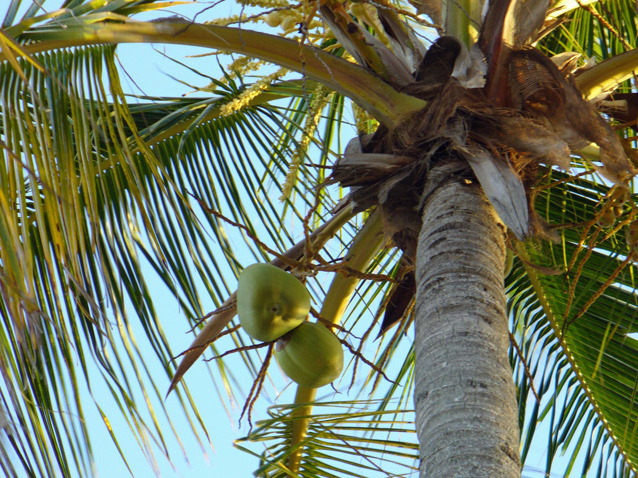 Fort Myers is the #1 destination in Southwest Florida. There’s something here for everyone!